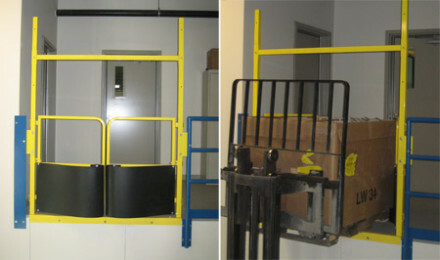 Pallet Gates are typically found on mezzanines, but they can be used in other industrial applications. 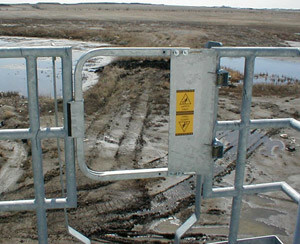 This pallet gate was used on a work platform that was built around an industrial mixing platform. The pallet gate allows for items to be lifted onto the platform (e.g. pallets of materials to be put into the mixer) while at the same time providing safe access to the people working on the platform. These pallet gates were installed onto an existing work platform with the addition of fall protection railing. OSHA requires that general industry employees working at a height greater than four feet have adequate fall protection. Adding safety railing and pallet gates to these work platforms brought the system into compliance and provided a safer working area for employees. 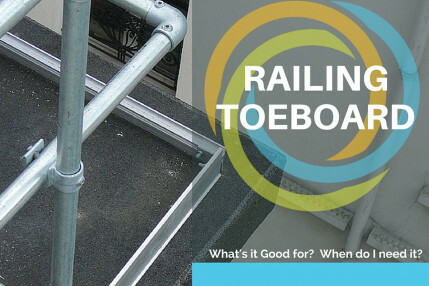 Railing Toeboard - What is it good for and do I need it in 2019? Recently I came across some really nice pictures of a KeeGuard toeboard installation. These are some great shots that show how well toeboard integrates with our railing systems. I decided to do a little Q&A on toeboard with General Manager, Dan Wampler.